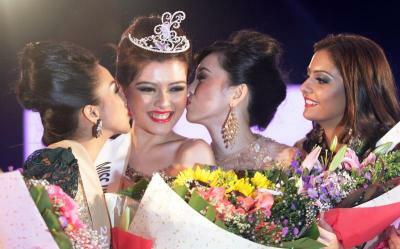 Carey Ng (23) beat 15 other finalists to win the 2013 Miss Universe Malaysia title in Shah Alam last night. She stands 1.78m tall and will represent Malaysia at the 2013 Miss Universe Pageant. The first runner-up was Natalie Ng and the second runner-up was May Salitah. The fourth runner-up was Symren Kaur. A huge step down from Kimberley Leggett! But she has a lot of time to improve.